Used Burlap bags has many uses including, agricultural and industrial products,Balling roots and earth when planting trees and shrubs.Burlap bags can be used for frost protection,wind breaks for plants.Burlap bags also for ground cover to prevent erosion and to promote seed germination. Great covers for cement during curing,and balling bags for trees. 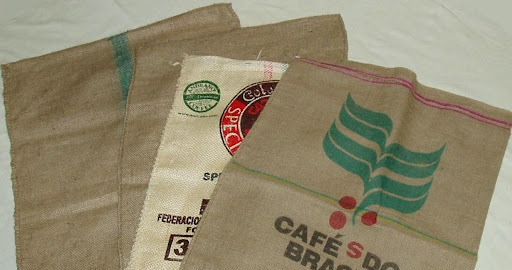 Burlap Bags For sale call 813 770 4794 We are a small reuse company, please support reuse. We are a small reuse company , Google Hongkongwillie. Support reuse. We are a small reuse company, please support reuse. Used Burlap bags have many uses including, agricultural and industrial products,Balling roots and earth when planting trees and shrubs.Burlap bags can be used for frost protection,wind breaks for plants.Burlap bags also for ground cover to prevent erosion and to promote seed germination. Great covers for cement during curing,and balling bags for trees. Sack Race Bag Kit (4) $24.99Free Shipping this special. – 4 Sack Race Bags 24.99 free shipping U.S.. Used burlap coffee bean and feed bags. Great for arts and crafts. Make your fashion statement, whether it be hand bags or use in furniture arts and crafts, burlap bags have many uses. 25 Used Burlap Bags $79.95. Used Burlap Bags measure approximately 36″ x 29″. This special ships bags @ our discretion. Free Shipping this special. 25 Burlap Coffee Bean Bags for 79.95. 25 Burlap Coffee Bean Bags for 79.95. Bags are approximately 36″ x 29″. This special ships bags @ our discretion. Free Shipping this special. Give us a call for commercial uses. Support reuse. Hong Kong Willie. The name of the artist. In 1958 his mother took Hong Kong Willie to an art class. The name started then. An art teacher when doing crafts out of Gerber baby bottles, made a statement, in Hong Kong reuse was common. At that time he thought this was very interesting. His father had low-land, at that time landfills were common also. The county had told Hong Kong Willie’s father, it was safe, but as we now know this was not so. Something can come from bad to be good. Hong Kong Willie the name came from that art teacher impressing on that young mind that objects made for one use could be for many other uses. Hong Kong for the neat concept. Willie for an American name. So for many years Hong Kong Willie had a life of reuse. Hong Kong Willie saw forms in a different light, His life now was meaningful, knowing this was and would be his life. Art made from found objects, making less of a footprint on this world. Art and art teachers, HOW IMPORTANT. For the ones that have, and the ones who have not. Media can be found. Now 50 years later, we know now being green is important. We need to look at this very carefully. Our children and our world need a different understanding. Objects can be used in many different ways. Hong Kong Willie the tons of objects in his life that have been used, without much change, So for that art teacher what she did for my life. Thank You. I still have the Gerber baby bottle till this day. Hong Kong Willie. Look on Bing For Hong Kong Willie. This entry was posted in Burlap+ Bags+Sack Race+Bags+ Sacks+Used.+for sale., USED BURLAP BAGS and tagged Burlap+ Bags+Sack+ Race.+Used.+for sale.. Bookmark the permalink.